Fun in the sun in the Orlando/Kissimmee area. Enjoy the multiple attractions Orlando has to offer. Home of Disney’s Magic, Universal Studios®, Wet-N-Wild®, Sea World® & more. 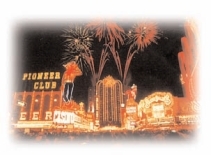 The night life features dinner theaters and clubs rousing entertainment in several themes. For the shopper –– factory outlets abound. The “World’s Most Famous Beach”, the Daytona Beach resort area is the perfect spot for vacationers. Enjoy its 23 miles of white sandy beaches with automobile access, mild tropical climate with fabulous ocean breezes and warm hospitality. It is a virtual water sports paradise, hosts visitors from all over the world and is just one hour east of Orlando. On the southeast Gold Coast of Florida, embraced by the Atlantic Ocean, New River and scenic inland waterways, is an area designated as “Venice of America”. The magnificence of its 7 miles of beach is complete with brick walkways, luscious landscaping and a “wave wall” with neon accent lights. It offers 165 miles of waterways, snorkeling, diving, tropical sea life, communal coral reef, abundant parks and fine museums. Your getaway vacation on the Grand Bahamas beach promises you the pampered experience of your dreams. 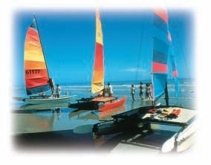 View crystal waters and white beaches and participate in a vast array of water and land sports. Become tantalized by casinos, browse the remarkable shopping areas and savor the native and exotic cuisine while enjoying the glamorous nightly entertainment. Enjoy an exceptional vacation. This is one of the most exclusive tourist destinations and resort areas in Mexico. It's surrounded by 17 glorious beaches, two oceanfront golf courses, a breathtaking marina, fabulous water park and a multitude of shopping areas. in entertainment; over 750 restaurants, bright lights, fabulous casinos, luxurious accommodations, indoor games, and outdoor attractions, including Mt. Charleston winter skiing, Hoover Dam and Valley of Fire. 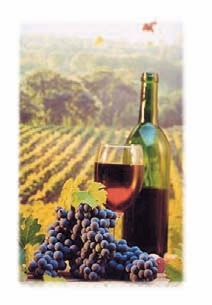 Choose to be surrounded by either Napa’s world renowned vineyards with its rim of rolling hills and miles of picturesque beauty, or Anaheim’s spectacular 42 miles of Pacific coast and the home of America’s Disneyland® and Anaheim’s Gardenwalk®. Both of these sites offer world class art collections, unsurpassed shopping outlets, fine shops, exciting golf courses, abundant sports and scenic pathway tours. See the stars perform! Come to Branson, MO in the majestic Ozark Mountains. Enjoy fabulous entertainment, lakes, theme parks, including 76 Country Boulevard, White Water, The Grand Palace, Silver Dollar City, Bass Pro Shops, Shepherd of the Hills, shopping, Ozark Train Ride, golf and food in over 2500 restaurants. 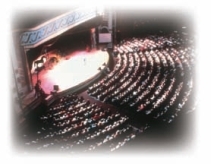 You’ll find everything you can dream of in America’s “Live Entertainment Capital of the World”. 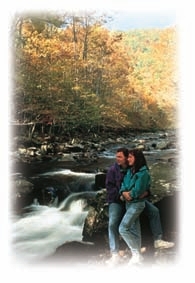 Nestled in the heart of the Great Smoky Mountains of Tennessee is the premier resort city of Gatlinburg. This unique village is surrounded on three sides by a National Park and provides a natural setting for outdoor lovers and sportsmen. It is an all-season resort with unimaginable beauty in the peak foliage of fall, festive winters highlighted by mountain lights, downhill and cross country snow skiing, spring showcasing beautiful flowers, wonderful weather, and entertaining summers celebrated with games, fairs and parades. Whether summer or winter, these destinations are the best for their spectacular attractions for the young and the not-so-young. The summer home of sports including hiking, biking rafting and various natural wonders and in winter noted as the top ski areas in the Northeast, coupled with great food, wonderful entertainment, spectacular nightlife and diverse shopping, they promise a wonderful year round vacation for all. The entertainment capital of the East Coast! Indulge in leisurely hours on white sandy beaches or by the pool. 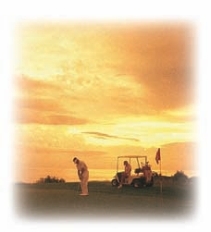 Enjoy active days filled with boating, fishing, golf and tennis. When the spirit moves you toward world class dining, gaming and the thrill of the play, Atlantic City restaurants, nightclubs, and casinos are minutes away. You are surrounded by a world of vacation pleasures in the heart of the Atlantic City resort area. Experience your own concept of good, clean fun while visiting Virginia Beach. Just relax on 28 miles of oceanfront and bay beaches or stroll along the extensive resort area and enjoy the recreational facilities and area parks. Restaurants and shops abound, and when the sun goes down, the town lights up. When you’re ready for a change of pace, remember, Virginia Beach is more than just a beach. Myrtle Beach is a true paradise. It is the home of the finest golfing at nearly 100 area courses for the serious golfer as well as those just playing for a good time. It’s the host of fabulous entertainment including the NASCAR Cafe, The Hard Rock Cafe, Planet Hollywood, Barefoot Landing and Broadway at the Beach to name a few for year-round pleasure. Enjoy gourmet dining with over 1800 restaurants to choose from, superb nightlife and entertainment, spectacular Atlantic Coastal beaches, sightseeing and a shoppers paradise! Enjoy the powder white sands of Aruba’s sparkling beach while basking in the warm Caribbean surf or swim in fabulous pools. Take advantage of the Island’s exciting sports including golf, sailing, fishing, wind and parasailing, tennis, biking and hiking, scooter rentals, horseback and helicopter rides. The fun abounds for everyone! An open gate to your dreams, Cancun’s state of the art facilities are among the coolest clubs, restaurants, malls and marinas, all just a stones throw away from the most gorgeous beaches and turquoise waters of the Caribbean Sea. 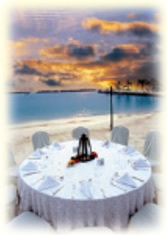 You are sure to relax and re-energize while enjoying the splendor of the island sunsets.